Ryan Hughes is a beast in the gym, and he’s quickly making his presence known in the fitness world. He wasn’t always mister muscles though. When packing on dense lean muscle mass, Ryan Hughes takes a no-frills approach to his training and nutrition programs. He eats the same healthy foods day in and day out and sticks to the basics in the gym, because that's what works for him. Like a well-oiled machine, Ryan powers through his grueling workouts and never misses a meal, because he knows that you have to eat big to get big. 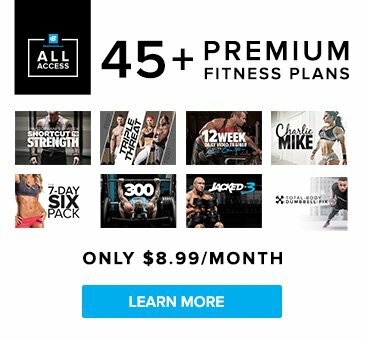 If you want to be a powerhouse like Ryan Hughes, then don't miss his unique muscle building program. Abdominals: Trained every other day alternating between weighted exercises on one day and non-weighed the next abdominal day. I use a variety of different exercises with my main focus being on controlling the movement and maximizing the contraction. Cardio: Moderate intensity cardio for 30 minutes first thing in the a.m. and 20 minutes post-workout daily. My approach to nutrition is very simple. Over the past few years I have tried various foods, quantities and timing strategies and I believe I have found what works best for me. I stick to simple quality protein sources and complex carbohydrates. My diet does not contain a ton of variety as you can tell which may not be right for everyone. However, I don't mind the lack of variety and I enjoy knowing exactly what I am getting each and every day. The lack of variety makes it easy for me to plan ahead and prepare my food. Grocery shopping and meal preparation are a breeze for me because I stick to simple, high quality foods which require little preparation time and effort. My strategy is simple, quick and easy! My training strategy is also straight forward. I stick to basic compound movements to optimize gains in lean muscle mass. These movements have always worked for me, so I figure, why change? I never understood why people, who are making solid steady gains, would completely revamp their training routine. I think switching your routine and keeping things fresh is absolutely critical, but to throw out everything and start fresh is silly. I always include the basic compounds movements and build around them. I rarely "bulk" anymore. I take a few months to try and add new muscle mass each year, but these periods of time I still eat clean. My training during these periods is somewhat lower reps and heavier weight. During a cutting phase, I typically reduce the weight, increase the training volume and add in cardio. Supplementation for me is very regimented and consistent. I believe this to be the key to supplementation success. I have always used Gaspari Nutrition products. In fact my first supplement stack ever was Size-On SuperPump 250. So, signing with Gaspari Nutrition was sort of like a dream come true for me. If you look back into my forum posts, blogs and comments you will find that I have always supported the brand and used the products. I also use fish oils and Genr8 Vitargo, which is a great product to use post-workout. I use Vitargo year round, even when cutting. One tip I would give anyone who is looking to add a supplement regimen to their current plan is, get everything else in check first. Do not rely on supplements; use them in addition to a balanced diet and strict training regimen. You will see great results if you use these products properly in the right nutritional and training environment.